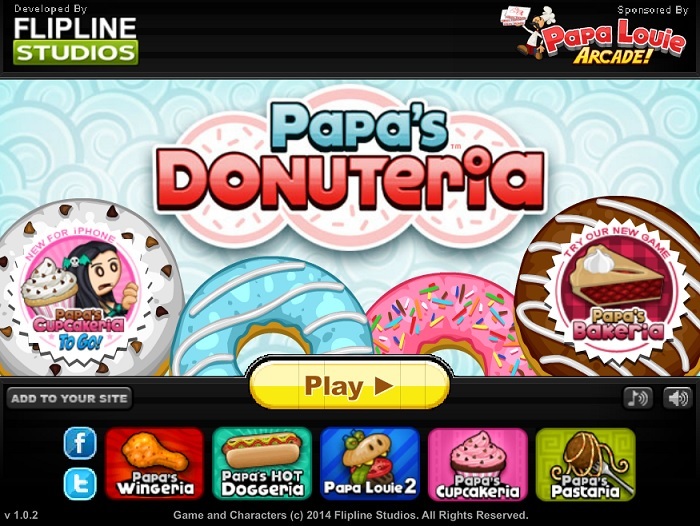 Papa’s Donuteria is another restaurant management game from the Papa Louie Arcade. 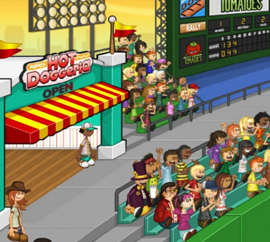 The objective of the game is to work at a donut joint and manage the same by completing successive customer’s orders. 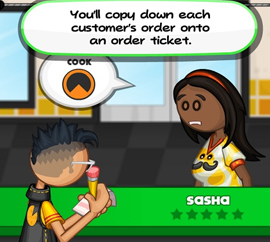 You have to correctly execute the orders placed by customers in order to earn tips as well as level up in the game. On every properly executed order, you are awarded tickets. The game begins with you being employed at Papa’s Donuteria in the carnival town of Powder Point. The only reason of working at the restaurant is the jump pass for Sky Ninja roller coaster rides. However, on reaching the town you find out that Sky Ninja ride is out-of-order and the services of the ride will resume next year. However, you are stuck in the town serving crazy customers daily. Order Station: Here, you need to take a note of the order placed by the customer by writing down all possible details of the order. Dough Station: At this point, you have to choose the correct dough; white or brown as ordered by the customer and then carve it using different moulds. Fry Station: Fry donuts till both sides are properly cooked as under cooked or over cooked donuts cannot be served to the customers. Build Station: This is the final and the most important stage as you have to coat the donut with choice of sauce such as Strawberry, Chocolate, White Chocolate, etc. as well as garnish it with chocolate stars or rainbows. 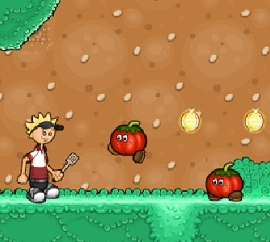 The game can be played on all browsers and doesn’t have any specific hardware requirements. 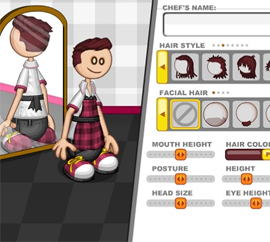 You can choose from two characters Tony and Scooter or create a character of their own by choosing from various customization options such as hair, facial hair, skin color, hair color, etc. The controls are very user-friendly as all the action of the game can be controlled by using mouse. 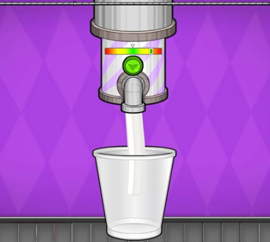 You can buy different upgrades ranging from furniture, clothing, to performance boosters by visiting the game shop. New customers and ingredients are unlocked at the end of each level. 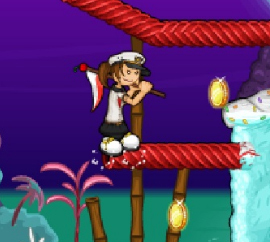 Mini games can be played by using tickets received on every successful execution of the orders. Papa’s Donuteria is a real stress buster that can be enjoyed by adults as well as kids. Have fun while serving donuts to your customers!